There are 2 and possibly 3 mistakes in this map. 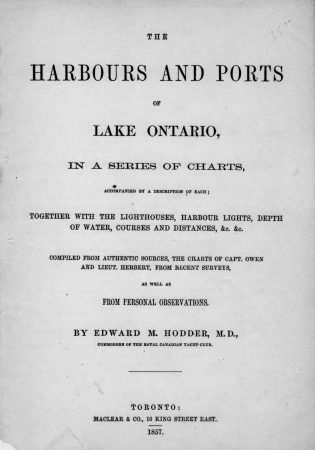 First the bay was referred to as Great Sodus Bay and not Big Sodus Bay. 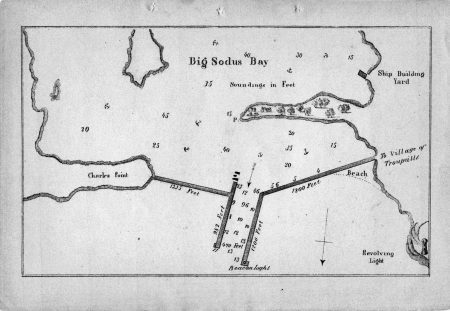 Secondly by 1857, our village was referred to as Sodus Bay and no longer Troupville. Thirdly, no credible evidence exists that the old Sodus Bay lighthouse had a revolving light.